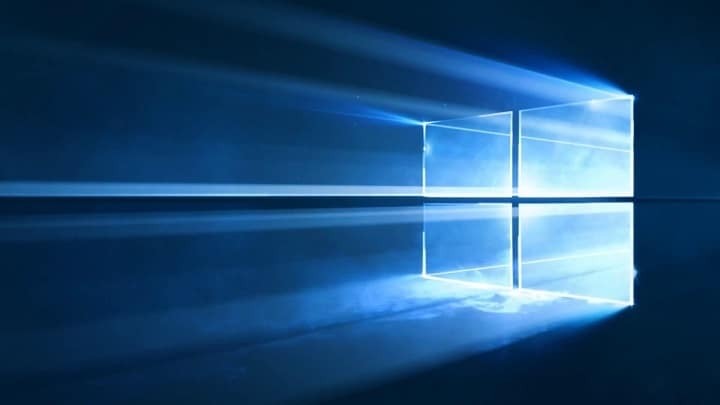 Windows 10’s infamous update issues are something every user have to deal with at least once. It would be ideal if there’s one single issue because we’ll know the solution for sure. However, that’s not the case, as various update issues tend to appear from time to time. In this article, we’re going to talk about a commonWindows Update issue that comes with the error code 0x80072ee7. 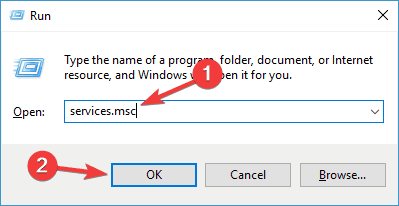 This problem can appear in various situations, but most frequently when you’re trying to install a new major update for Windows 10 (Anniversary Update, Creators Update, etc.). So, if you’ve recently encountered this problem, it needs to be addressed as soon as possible, because installing major updates for Windows 10 is highly advisable. In that manner, we’ve prepared a few solutions that might help you deal with the error code 0x80072ee7 in Windows 10. Code 0x80072ee7 Windows 10 Store – According to users, this error can appear while trying to run Windows Store. If you encounter this issue, be sure to repair corrupted files and check if that works. 0x80072ee7 Windows Update – This issue can appear while trying to run Windows Update. If that’s the case, make sure that the necessary services are enabled and running properly. 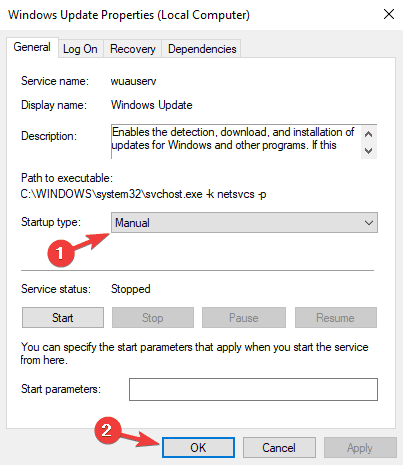 Alternatively, you can run Windows Update reset script to reset these services. Windows 10 upgrade error 0x80072ee7 – This error can appear while trying to upgrade to the latest version of Windows. This can be due to your antivirus, so be sure to disable it. In worst case scenario, you might even have to uninstall your antivirus. Windows 10 Media Creation Tool error 0x80072ee7 – According to users, this error can appear even while using Media Creation Tool. To fix that, try editing hosts file and check if that helps. 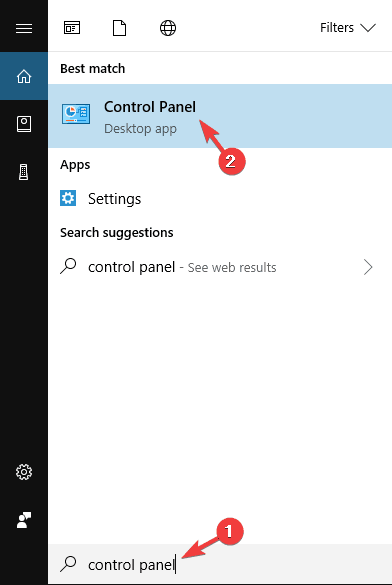 Go to Windows Search, type control panel, and open Control Panel. 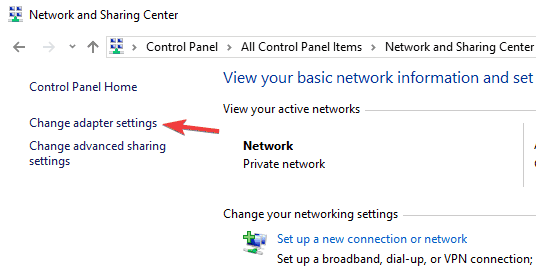 Go to Network and Sharing Center, and click on Change adapter settings from the left pane. 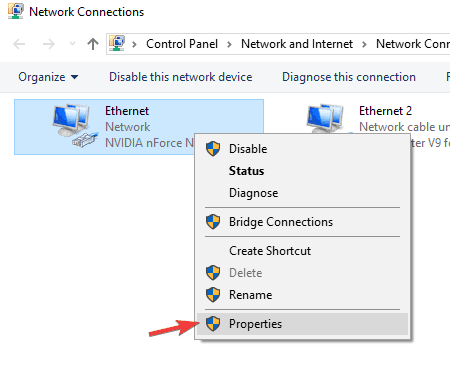 Choose the network you’re currently using, right-click it, and choose Properties. 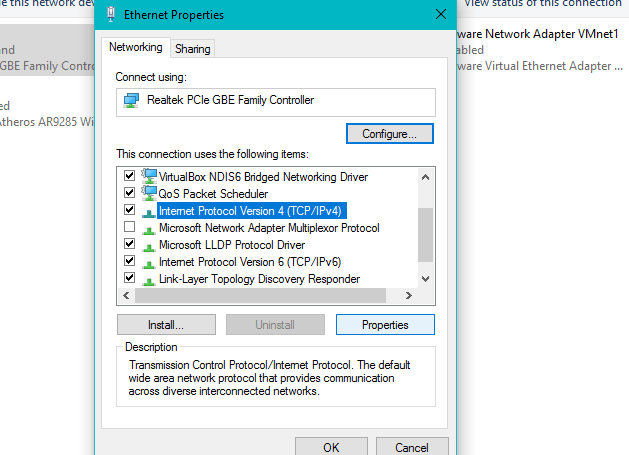 Scroll down to Internet protocol version 4 (TCP/IPv4), and choose Properties. Now, try to update Windows 10 again, if the problem still persists, try some of the solutions listed below. 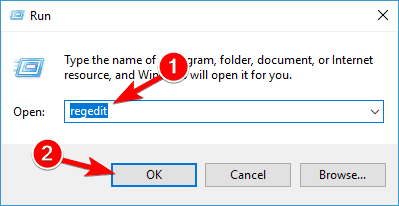 Windows 10 (and any previously-released version of Windows, as well) has a built-in error checking tool, called SFC scan. This tool deeply scans your computer for possible problems, in order to resolve them. This tool can also be helpful when resolving Windows Update issues. Press Windows Key + X to open Win + X menu. Now Choose Command Prompt (Admin) from the menu. You can also use Powershell (Admin) as an alternative. The process should last a few minutes. If SFC scan doesn’t work, or if you can’t run SFC scan at all, you might want to try using DISM scan instead. To do that, simply start Command Prompt as administrator and run DISM /Online /Cleanup-Image /RestoreHealth command. Once the DISM scan is finished, check if the problem is resolved. If the issue is still there, or if you couldn’t run SFC scan before, be sure to repeat SFC scan and check if that helps. The WUReset script is a custom-made script specifically designed for resolving update problems in Windows 10. This script does some of the most common workarounds for Windows Update issues, like resetting the Windows Update process, deleting the SoftwareDistribution folder, etc. Therefore, it saves you time and effort, as you don’t have to perform these actions by yourself. To find out more about the WURest script, and download it, check out this article. According to users, sometimes error code 0x80072ee7 can appear if your hosts file is altered. Several users reported 0.0.0.0 IP addresses in their hosts file, and according to them, these addresses caused the problem. To fix the issue, simply remove or comment out those addresses by adding the # symbol at the beginning that line. Modifying the hosts file can be tricky, so some caution is advised. In addition, many users reported Access denied message when editing hosts file. This is not a big problem, and it can be easily resolved. Once you fix your hosts file, check if the problem is still there. In some cases, error code 0x80072ee7 can appear if there’s an issue with your antivirus software. Sometimes your antivirus software can interfere with your system and cause this error to appear. To fix the problem, it’s advised to disable certain antivirus features and check if that helps. If that doesn’t help, you might want to try disabling your antivirus completely. Even if you disable your antivirus, Windows 10 comes with Windows Defender that acts as a default antivirus, so there’s no need to worry about your safety. If removing the antivirus software solves the issue, you might want to consider switching to a different antivirus solution. There are many great antivirus tools, but one of the best is Bullguard. This tool offers great protection, and it won’t interfere with your system in any way, so feel free to try it out. 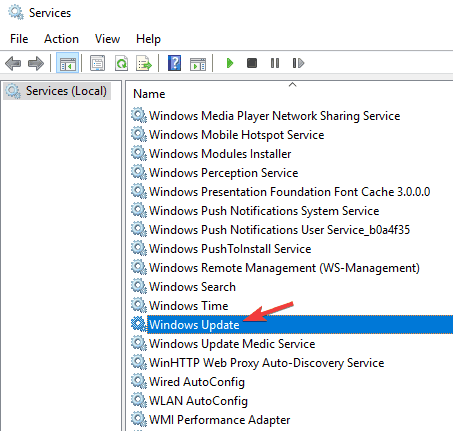 When Services window opens, locate Windows Update and double-click it to open its properties. If Startup type is set to Disabled, be sure to change it to Manual or any other value. Now click Apply and OK to save changes. After doing that, check if the problem is resolved. Keep in mind that you might have to restart your PC to apply changes. Many users reported that DNS Client service can cause this problem as well. 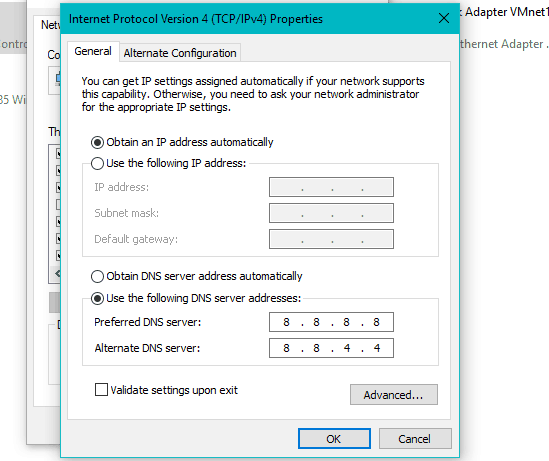 Simply follow the instructions above and enable DNS Client service. Once you do that, the issue should be permanently resolved. Sometimes third-party applications can interfere with your system and cause this issue to appear. In fact, several users reported that certain registry cleaner software caused this issue. To fix the problem, you need to find the problematic application and remove it manually. There are several ways to remove an application, but the best one is to use uninstaller software. In case you’re not familiar, uninstaller software is a special application that can remove any program, along with its files and registry entries, from your PC. If you want to completely remove a certain application from your PC, uninstaller software might be the best choice for you. There are many great uninstaller applications, but one of the best is IOBit Uninstaller, so we strongly recommend to try it out. Once you find and remove the problematic application, check if the problem is resolved. In the left pane navigate to HKEY_LOCAL_MACHINESYSTEMCurrentControlSetServicesTcpip. 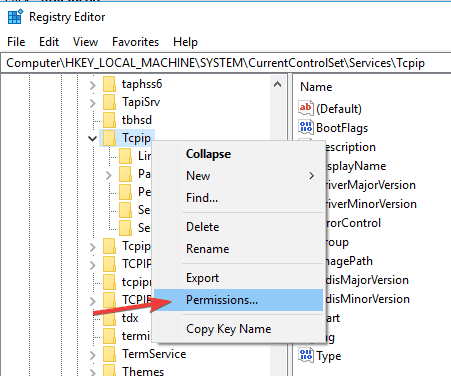 Right-click Tcpip and choose Permissions from the menu. Check Replace all child object permission entries option and click Apply and OK to save changes. That’s about it, we hope at least one of these solutions helped you to resolve the error code 0x80072ee7 in Windows 10. If you have any questions or suggestions, feel free to let us know in the comments below. For more Windows Update workarounds, and additional info, make sure to check our Windows Update hub.